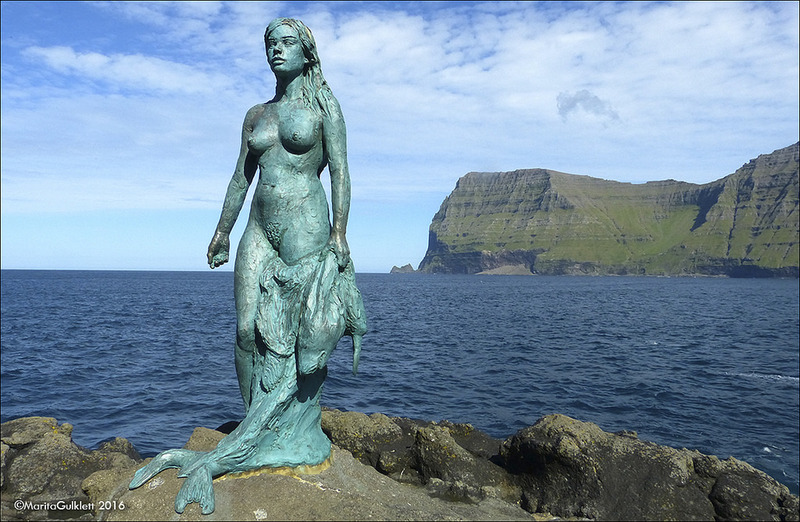 Selkies are a variation on the mermaid concept in Scottish, Irish, Icelandic and Faroese folklore. They live in the sea as seals, but can shed their seal hide to become human on land. If their seal skin is hidden or stolen, they are unable to return to the sea. 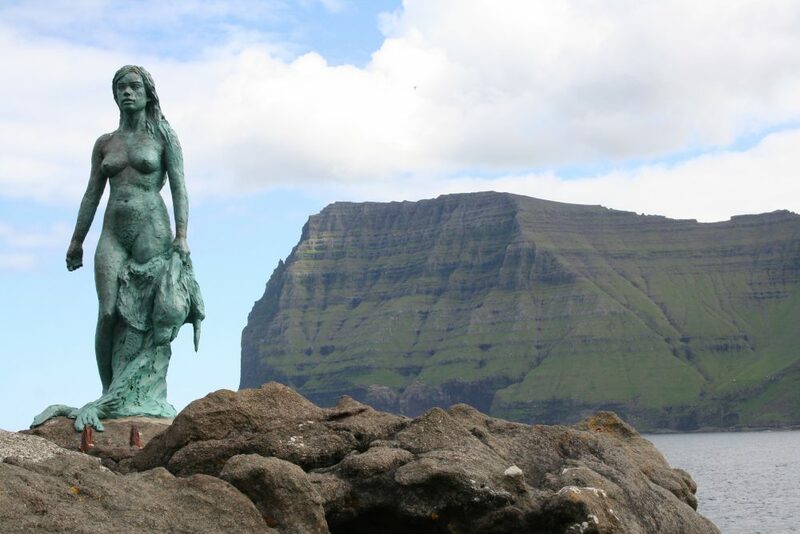 Kopakonan (The Seal Wife) on Kalsoy, Faroe Islands. Photo © Marita Gulklett. 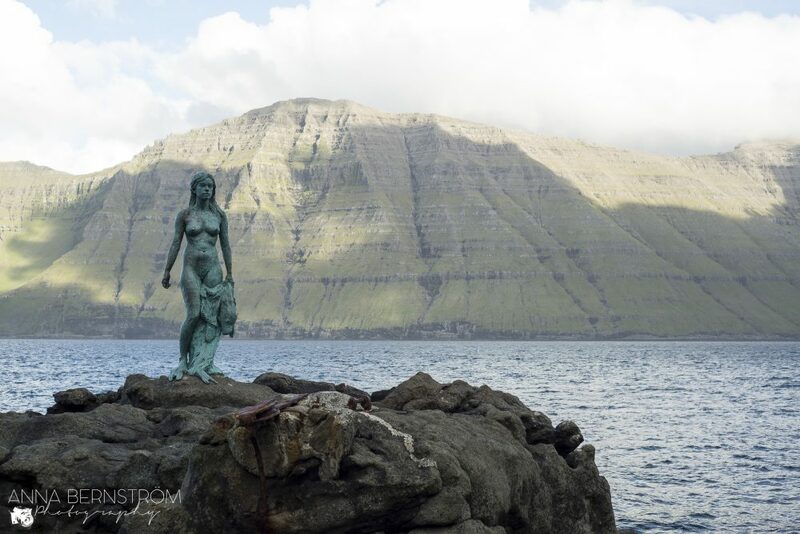 The statue commemorates myths about selkies and in particular two well known myths about the Seal Wife on the Faroe Islands. 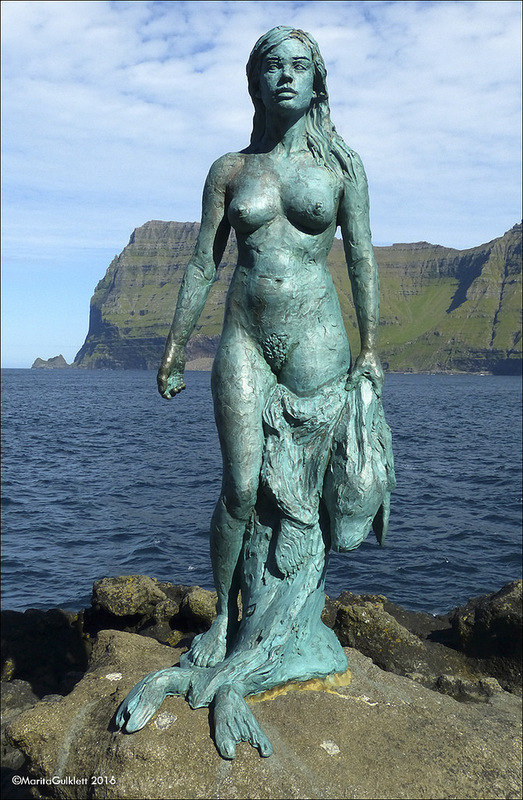 Selkie stories are traditionally romantic tragedies, with the Selkie in most stories returning to the sea after several years as a Seal Wife to a human, leaving behind the husband and children. 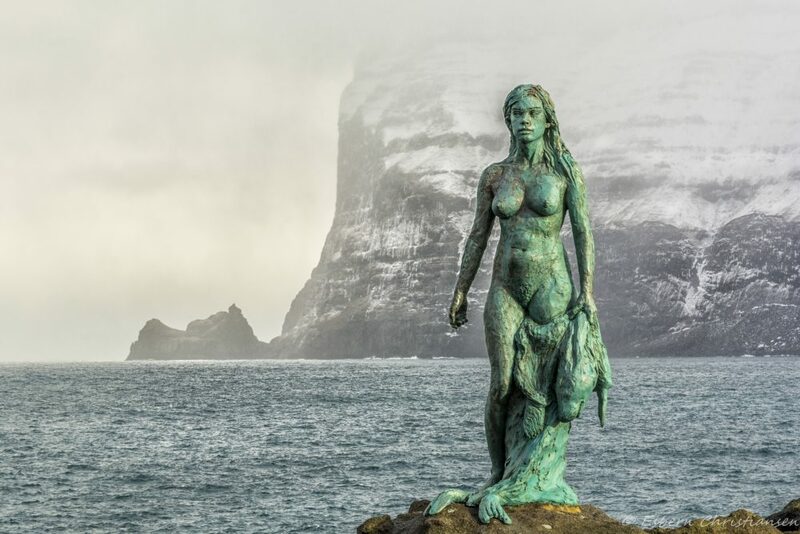 One well known story is about a beautiful Selkie trapped by a fisherman on the island of Kalsoy, who hides her seal skin while she is on land one night. Trapped, she becomes his wife and they have 2 children. One day however, he goes fishing and she finds her seal skin hidden in a chest in their home. 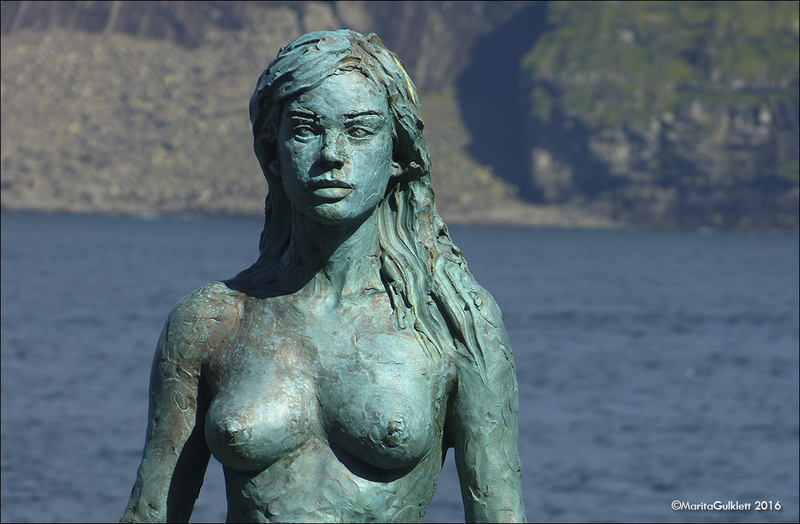 She escapes back to her Selkie family after ensuring the children are cared for until the fisherman’s return. She leaves behind a message to not follow her and to not harm her Selkie family. The fishermen however ignore the warning and end up killing both her Selkie husband and Selkie children. 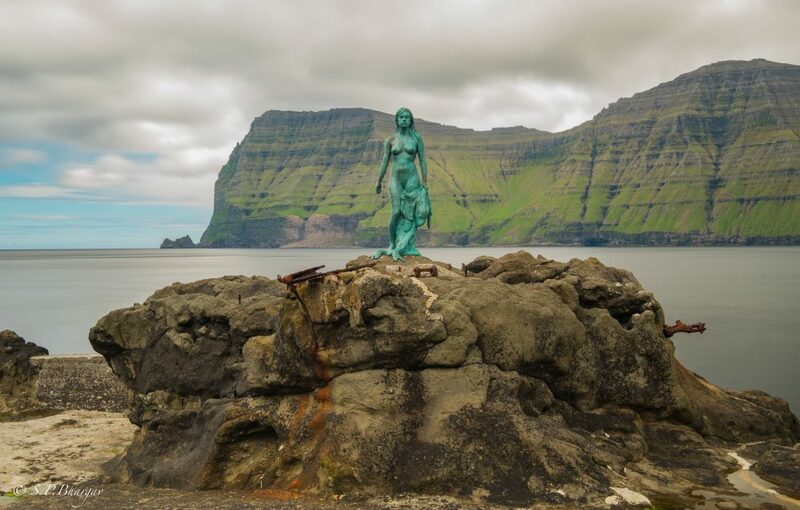 In revenge she curses the men of the island to die in frequent accidents until as many have perished as can link arms around the whole island. 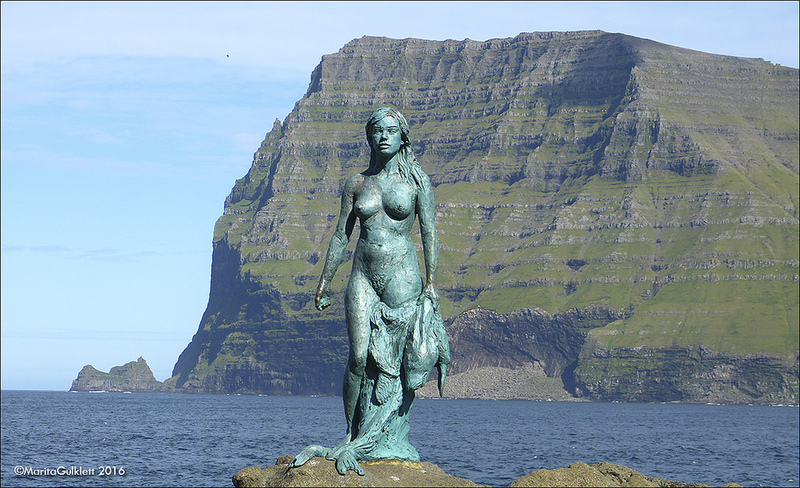 Kopakonan (The Seal Wife) in Mikladalur on Kalsoy, Faroe Islands. Photo © Marita Gulklett. 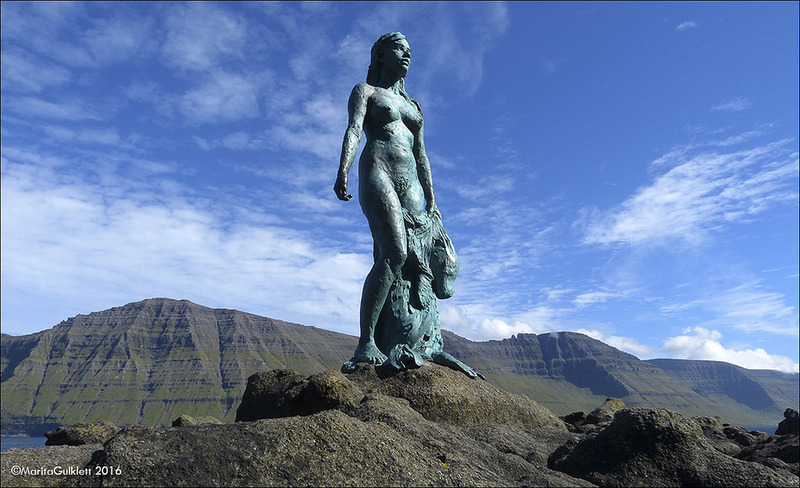 Kópakonan/Selkie in Mikladalur. Photo © Esbern Christiansen.